Nationally and State licensed, Scope Inspections adheres to (and exceeds) The State of Wisconsin's Standards of Practice for Home Inspections. A Scope home inspection provides a thorough look into the structure, interior and exterior of a home with a first class report that is easy to read and understand. We're honest and strive to educate our customers. Our custom home inspections are designed to help clients understand the home's current condition and its systems and components. Our electronic reports are available the same day of the inspection and we are always available for follow-up questions. We evaluate the structure, systems and components of a property and provide a thorough and timely report of our findings. We use the most up to date equipment that is virtually tamper proof - Sun Nuclear 1028 Computerized Radon Monitors that collect data for 48 continuous hours. Test results are available on inspection day. 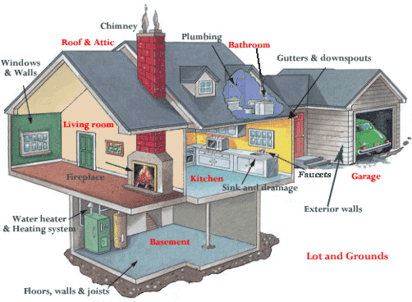 ​We provide homeowner instructions during the test to ensure accurate test results. Scope Inspections is Radon Measurement Certified through the Radon Testing Center of America, RTCA and The American Lung Association, ALA.
Radon is a colorless, odorless radioactive gaseous element formed by the breakdown of Radium (bedrock and soil beneath the house). It occurs naturally, especially in areas over granite, and is considered hazardous to health. Radon gas from natural sources can accumulate in homes, especially in confined areas such as basements or crawlspaces where there is limited ventilation. High Radon levels have been linked to lung cancer and over 20,000 deaths annually. Radon can be reduced through proper mitigation. 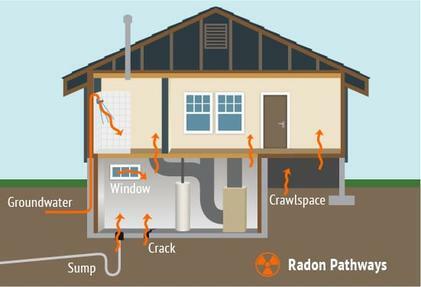 Still have questions about Radon? With Airthings Radon Monitor, homeowners can see active Radon levels in their home with the help of an app. There are a variety of models that can also help you visualize levels of Carbon Monoxide, Humidity, Temperature and Total Volatile Organic Compound. Click on this link to help understand how these monitors work and if you would like, you may purchase one of the many models available to help monitor the indoor air quality within your home.